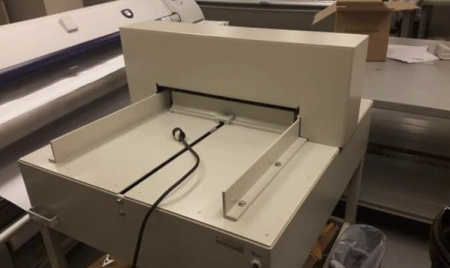 Anyone know anything about this paper cutter? I am in search of a paper cutter. 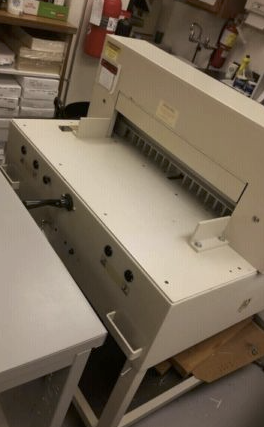 I’ve come across this one below - it seems a bit large for my needs however it’s supposed to be in good working condition and the seller only wants $100 just to get rid of it. It looks like it could be a Triumph maybe?! I don’t have much information on it. Anyone know much about it and how accurate and clean it is with Lettra? I want to be able to cut to greeting card/business card sizes. Thanks for your help! We had one that looked like that. It was a challenge cutter, they stopped making parts for it, ultimately had to scrap it. But it was a decent cutter for many years. Looking at the pics again, ours was similar but it had an electronic back stop and digital display. Check with a company that makes Triumph. They might be able to help you. They make a cutter close to the one in the picture. 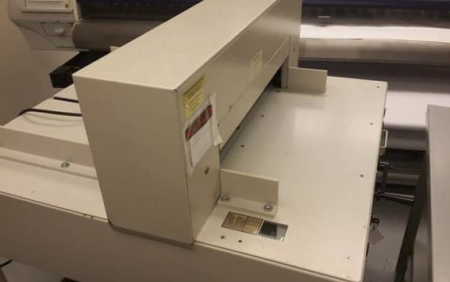 It is a little weight cutter (meaning not a production cutter) which will do cutting small stacks of paper or cover stock for short run job. 8.5” x 11” or less size sheets. If you need to cut large amounts of paper, for hours, it might not hold up to the work load.